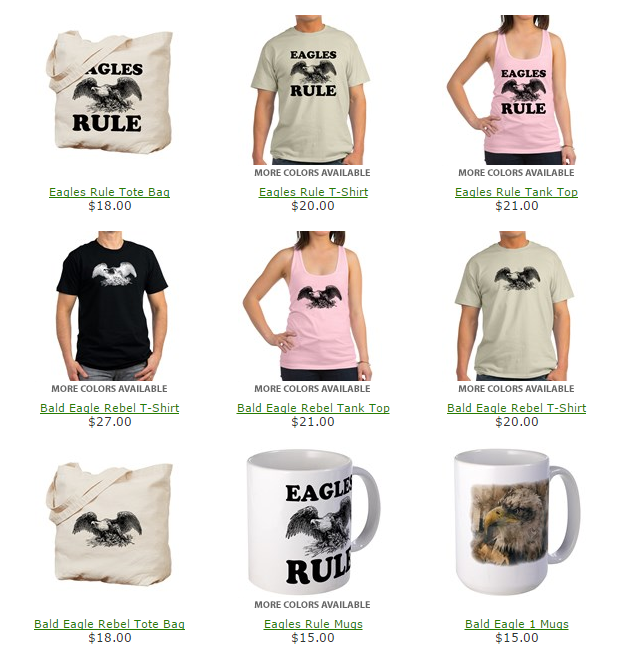 Buy products with bald eagle designs! Every item you purchase contributes $4 to the production fund for this important documentary. New products will be added occasionally so check back. Click on any image below to take you to our Cafepress Eagle Shop. Thank you for your support!